Welcome to Carmagnet web store. 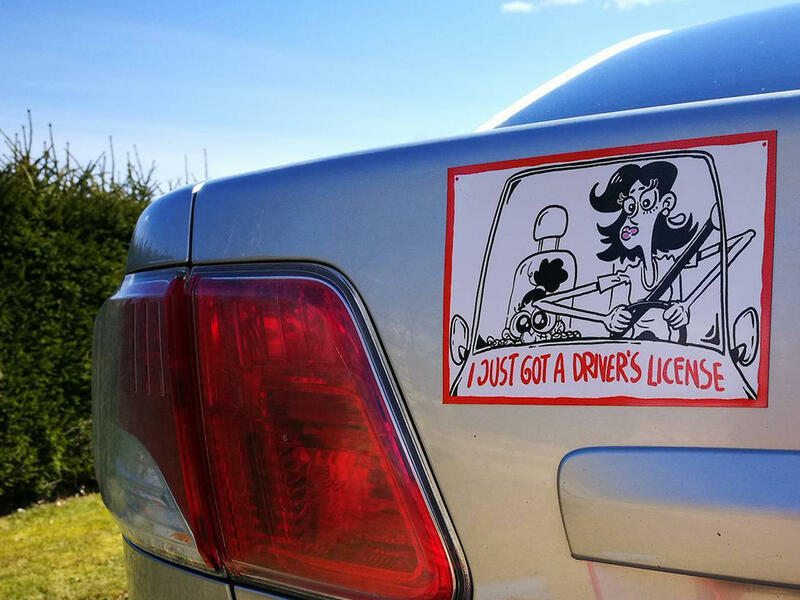 Here you'll find fun charicatures that can be used on cars. Magnet is easy to use and does not cause any damage to your vehicle. * It does no damage in any way. * Measurements are 10.7x15.1 cm (4.2x5.9 inches) and you can even cut them to your own liking. * Magnet stays on your car very well, just follow the simple instructions. * Before you place the magnet on your car, clean and dry the desired area. * Before you buy, be sure to check and make sure the desired area is magnetic. We recommend using a regular refrigerator magnet to test this. * We recommend removing the magnet in extreme weather conditions and when going through the car wash.
* Our designs belong to Business Beaver OÜ. The use of any image from this site is prohibited unless prior written permission from the artist is obtained.